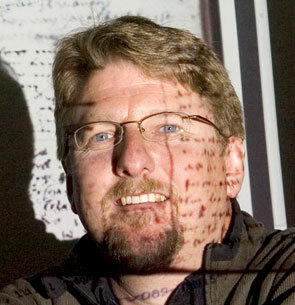 Ray Siemens (U Victoria, Canada) is Distinguished Professor in the Faculty of Humanities at the University of Victoria, in English and Computer Science, and past Canada Research Chair in Humanities Computing (2004-15). He is founding editor of the electronic scholarly journal Early Modern Literary Studies, and his publications include, among others, Blackwell’s Companion to Digital Humanities (2004, 2015 with Schreibman and Unsworth), Blackwell’s Companion to Digital Literary Studies (2007, with Schreibman), A Social Edition of the Devonshire MS (2012, 2015; MRTS/Iter, Wikibooks), Literary Studies in the Digital Age (2014; MLA, with Price), and The Lyrics of the Henry VIII MS (2016; RETS). He directs the Implementing New Knowledge Environments project, the Digital Humanities Summer Institute, and the Electronic Textual Cultures Lab, recently serving also as Vice President / Director of the Canadian Federation of the Humanities and Social Sciences for Research Dissemination, Chair of the MLA Committee on Scholarly Editions, and Chair of the international Alliance of Digital Humanities.